Providing you need two electric toothbrush handles, the Oral-B Pro 6500 is the most economical way to do it and offers great value for money. The electric toothbrush handles themselves are top of the range electric toothbrush handles that offers a great range of features for a cheap price. The Oral-B Pro 6500 which we are reviewing today. This is effectively a glorified Oral-B Pro 6000 with a bonus electric toothbrush handle. Think buy one get one free. 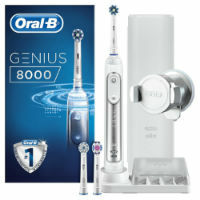 The Oral-B Smart Series 6500 a limited edition black coloured electric toothbrush that comes with added cleaning modes. I will be producing a review on this shortly. Providing you have decided that you need two electric toothbrush handles let’s carry on with the review. As you would expect from a top of the range electric toothbrush it has all the mod cons. The handle has been beautifully designed. It is chunkier and weightier than the cheaper Oral-B electric toothbrushes. The Oral-B Pro 6500 is also waterproof which is useful when washing off those inevitable toothpaste stains or when using the electric toothbrush in the shower. It comes with everything you all the features you would expect. A 2 minute quadpacer timer which gives an audible and visual confirmation that the 2 minutes are up. As with all Pro models there is a pressure sensor on the rear of the handle which flashes red when you press too hard. The wireless smart guide is also an incredibly useful feature especially if you are not tech savvy and do not want to connect your Oral-B Pro 6500 to your smart phone. The smart guide also gives you a visual timer and rates your brushing based on the amount of time you have been brushing for. Brushing properly with an electric toothbrush for the dentist recommended 2 minutes will improve your oral hygiene and help prevent gum disease and decay. 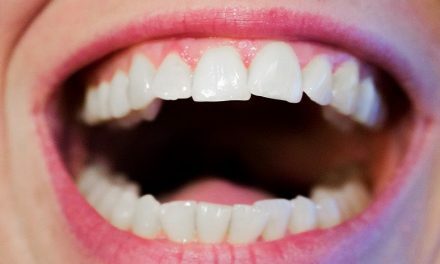 The 3D oscillating rotating method of cleaning is great for removing plaque from teeth. On the box of the Oral-B Pro 6500 it states that it can remove up to 100% more plaque vs a manual toothbrush. I personally would not go as far as saying this however there is substantial evidence that electronic toothbrushes will clean better than a manual toothbrush. There is also evidence that the 3D oscillating rotating motion cleans better than the sonic motion used by Philips. We compared Oral-B vs Philips Sonicare here. 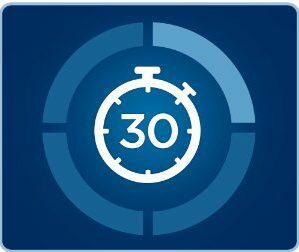 Deep clean mode a longer daily clean mode cycle which lasts for 3 minutes instead of 2. This is a wide variety of modes that will keep most people happy. The only notably missing cleaning mode is tongue clean mode which some may find useful. 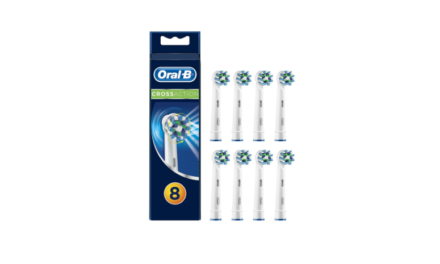 As with all the Oral-B Range, the Oral-B Pro 6500 is compatible with all the Oral-B Brush heads . My particular favourite is the Cross action brush head because of the angulation of the bristles and the small size of the brush head. I am not keen on the Oral-B Trizone to find out why click here. The Oral-B Pro 6500 lasts up to 10 days with regular use. This is substantially better than the cheaper Oral-B models which will only hold a charge for 5 days. The charging station has been well designed to hold 4 additional brush heads which is useful when one electric toothbrush holder is used between multiple users. The Oral-B Pro 6500 charger comes with a standard 2 pin plug. This means that unless you have a shaving plug in your bathroom you will need a 2 pin to 3 pin adaptor that can be picked up from most hardware stores or Amazon relatively cheaply. The Oral-B Pro 6500 weighs in at about 168g. This is roughly 40g more than the cheaper electric toothbrushes in the Oral-B range. The main reason for this is the extra features that this electric toothbrush handle has. Despite this it is still very portable and comes with a very useful travel case. The travel case is made from a transparent plastic that adequately protects the Oral-B Pro 6500 and 2 x brush heads from any bumps when away on holiday. 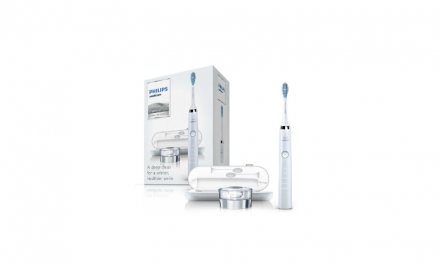 The current price for the Oral-B Pro 6500 is £119.79. This is great value for money for two Oral-B Pro 6000’s. Providing you need two electric toothbrush handles this would be the most economical way to do it. Running costs for the Oral-B Pro 6500 is also fairly inexpensive as the cross action brush heads are cheap and easy to replace coming in at around £3 per brush head. Each brush head should last for a minimum of 3 months making the running costs around 3p per day similar to a manual toothbrush. Is the Oral-B Pro 6500 waterproof? Yes it most certainly is and you can use it in the shower if you so wish. Does the Oral-B Pro 6500 have a warranty? Yes it comes with a 2 year warranty as standard which if registered online can be extended to 3 years. Do you get two charging stations? No with the Oral-B Pro 6500 you only get one charging station. If you want two you have to buy another charger. 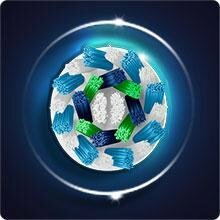 Is the Oral-B App available on Android and Apple? Yes the Oral-B app is available on the andriod and apple smart phones. Is this the same as the Oral-B SmartSeries 6500? No it is not. The Oral-B Pro 6500 does not have a tongue cleaner on it and is not in the limited edition colour black. Can I use trizone replacement brush heads on the Oral-B Pro 6500? Yes you can although I do not recommend the trizone brush head as it is bulky and the brushing action has less evidence behind it. If you want more information see this article. 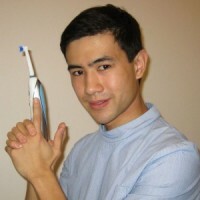 How many brush heads does the Oral-B Pro 6500 come with? It comes with 2 x additional brush heads a precision clean and a floss action. Both these brush heads are OK but in my view not as good as the cross action brush head. Summary A buy one get on free offer from Oral-B. The Oral-B Pro 6500 is an excellent offering and one of the most economical ways of getting two top of the range electric toothbrush handles. 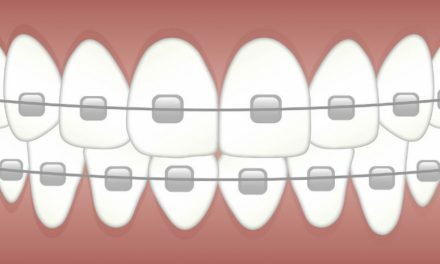 PreviousIs ‘Sales’ Bad For/In Dentistry?